Cruise Control Bikes is well known bike shop located in Den Haag, Netherlands and is also known across the region for stocking unique and custom bikes. Many of the styles they offer are fresh and young but they also offer a wide selection of bikes for families and children. 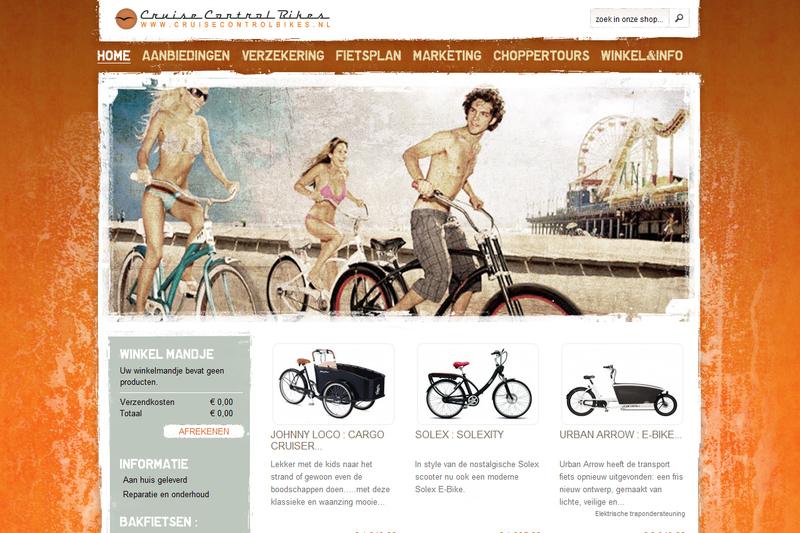 Cruise Control Bikes came to us with an existing logo and web design and wanted to develop a new style to match their product line. In turn we created three designs over the past few years each expanding on the web design principles of the business.